Welcome To Triple R Longhorns! 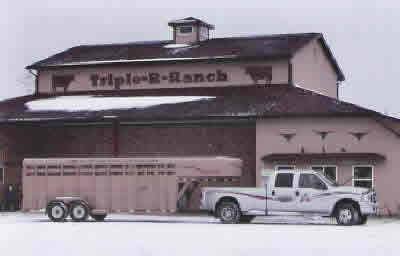 Welcome to Triple R Ranch! Winner of 3 Bronzes at the 2014 Horn Showcase! Winner of 2 Bronzes at the 2014 LWC! In 1993 we bought the neighbors farm. Then came the decision, what to do with it. We checked into Llamas, Emus, Ostriches and Cattle. The only exception that Peg had was, no horns! 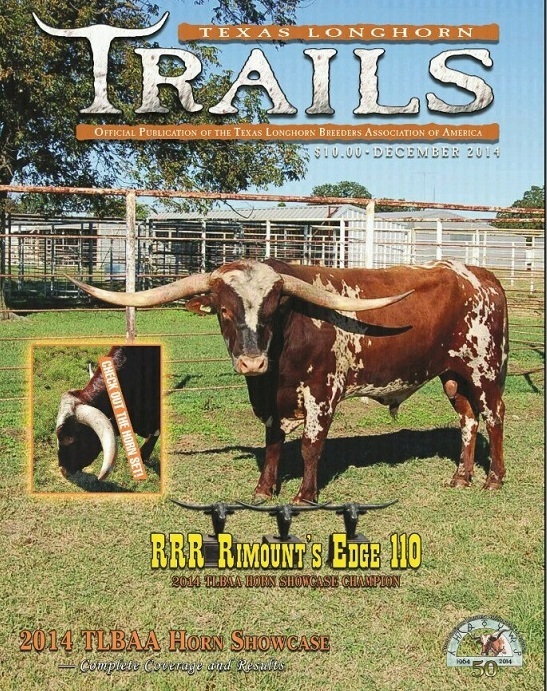 I ran across an article about the come back of the Texas Longhorn. I did some checking and got excited. We visited a ranch with longhorns and fell in love. 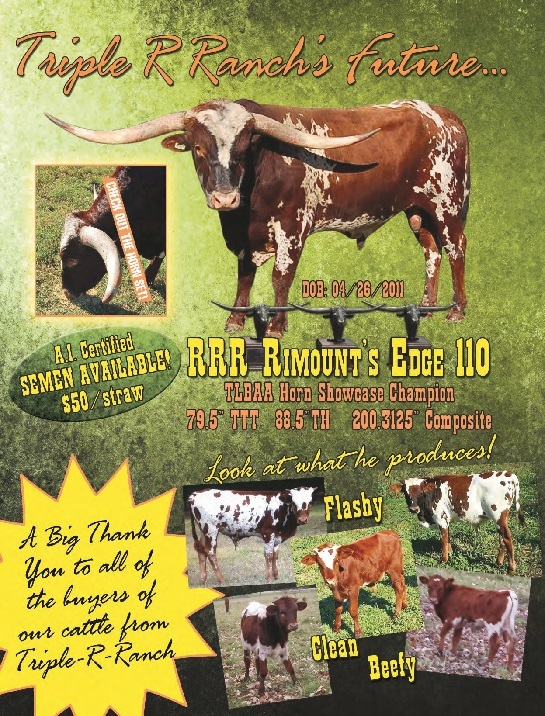 We purchased our first 12 longhorns the summer of 1997. Then we had to build some fences to keep them in. We took delivery in November 1997. We are working with a blend of the Seven Families to produce cattle with size, conformation, color, gentleness and lots and lots of horn. Being from Michigan we have real good grass in the summer and bailege hay and corn silage in the winter months. Peg and I love the cattle and spring is the best time of year when the new calves are hitting the ground. 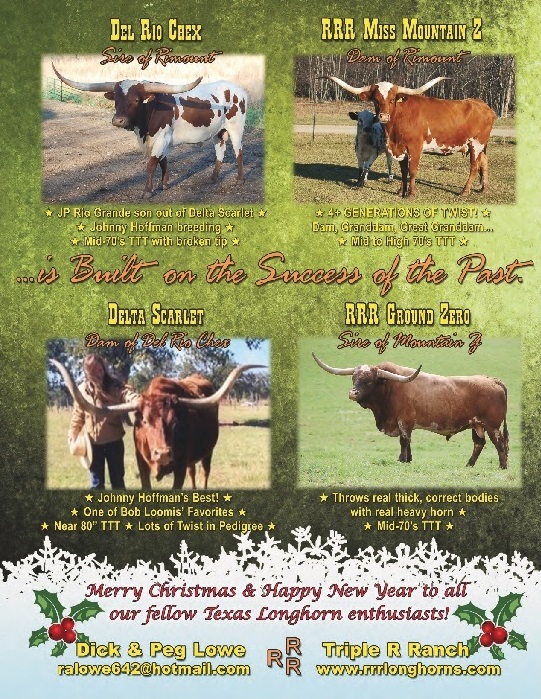 We hope you enjoy our cattle and web site and we hope to see you down the road.